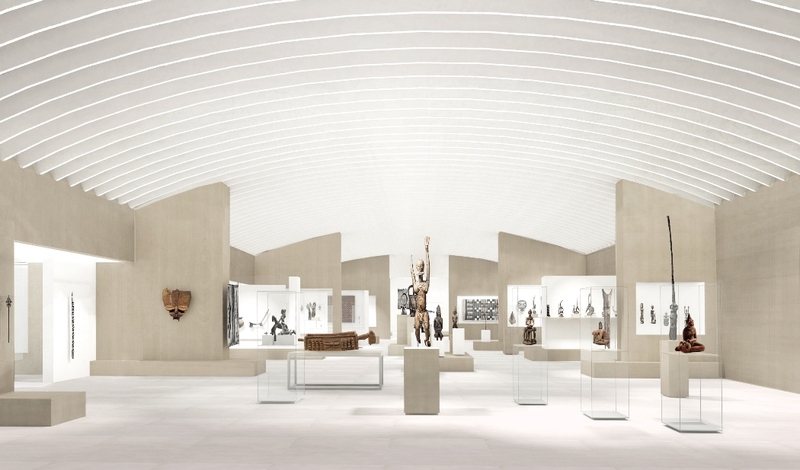 On November 19, 2018 in New York City, the Metropolitan Museum of Art announced that, nearly 50 years after the founding of its curatorial department devoted to the Arts of Africa, Oceania, and the Americas, they are going to completely renovate their Michael C. Rockefeller Wing. 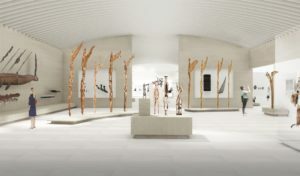 The galleries—40,000 square feet on the Museum’s south side—will be overhauled and reimagined to reintroduce each of the three major world traditions represented in the department’s collection, displaying them as discrete elements in an overarching wing that is in dialogue with the Museum’s collections as a whole. The Met has selected architect Kulapat Yantrasast of the firm wHy for the $70 million project. Renovation will begin in late 2020 and be completed in 2023. “By ushering artistic traditions of three-quarters of the globe into The Met, the building of the Rockefeller Wing helped define us as an encyclopedic fine arts museum. Its expansive and diverse character uniquely resonates with our global city. Our Africa and Americas collections alone represent the heritage of a quarter of the U.S. population and half of New York City’s residents,” said Daniel H. Weiss, President and CEO of The Met. 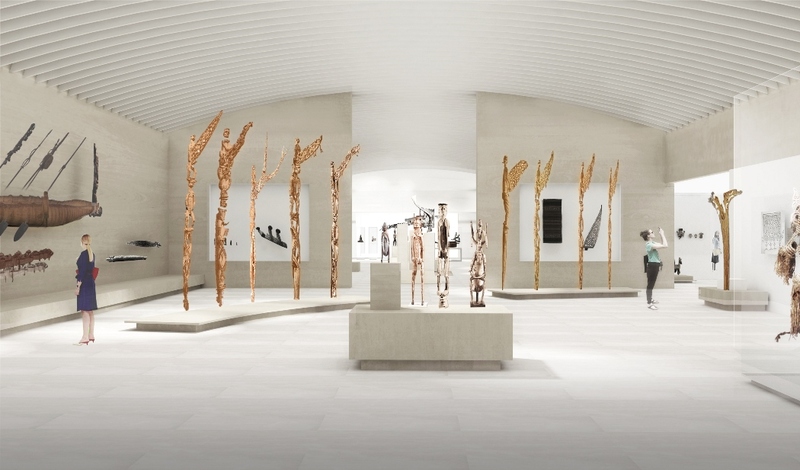 “The renovation of this suite of galleries will at once make a unique and timely civic contribution to our community and immeasurably enrich and deepen appreciation of a vast swath of the world’s artistic dynamism,” he added. “Only at The Met can one move from galleries devoted to the ancient Greek and Roman traditions that inspired the Renaissance into galleries filled with the non-European traditions that gave birth to Modernism,” said Max Hollein, Director of The Met. “Within AAOA alone there is the potential for highlighting parallels and contrasts that consider how societies across hundreds of cultures, five continents, and 5,000 years have addressed issues of authorship, patronage, trade, governance, state ideology, and ancestral commemoration. 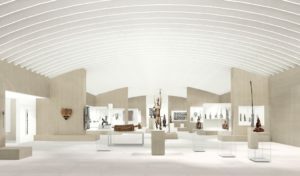 This major reinstallation of a core part of the Met’s global collection and the extraordinary design by Kulapat Yantrasast will be a manifestation of our ability to further advance the understanding, appreciation, and contextualization of the world’s most significant cultures,” Hollein added. With over two million square feet at its Fifth Avenue building, The Metropolitan Museum of Art is the world’s largest art museum. Visitorship to the Museum has grown from four to over seven million annually. The Rockefeller Wing renovation joins other large infrastructure projects, including: a multiyear project to renovate 10 galleries devoted to British decorative arts and sculpture, which will be completed in winter 2020; the replacement of the skylights in the European Paintings galleries (a project that began this summer and will continue through 2022); and renovation of the Modern Wing, for which planning is underway. “This is an opportunity to reconceptualize and reintroduce what are the most significant fine arts collections relating to three distinct highly developed fields of art history,” said Alisa LaGamma, Ceil and Michael E. Pulitzer Curator in Charge of the Department for the Arts of Africa, Oceania, and the Americas. “AAOA’s curatorial team has been presenting groundbreaking exhibitions of non-Western art that reflect new research, and this direction needs to be reflected in our current installation. Our thinking for the new galleries centers on the importance of reframing each of the specific regions of the world represented. We will be seeking to illuminate their artistic brilliance by invoking a sense of place through referencing architectural vernaculars relevant to each segment while also tethering these aspects to historical movements,” she continued. As early as 1893, Mexican stone sculpture and Peruvian ceramics were gifts to The Met from diplomats and artists, including one of the Museum’s founders, the American painter Frederic Church. During the 1950s and 1960s, the American statesman and philanthropist Nelson Aldrich Rockefeller assembled a fine-arts survey of non-Western art traditions that included the ancient Americas as well as areas of the world not represented in the Museum’s collection, importantly African and Oceanic art. In 1969 it was announced that Rockefeller’s collection would be transferred to The Met as a new department and wing. Opened to the public in 1982, the addition was named after Nelson Rockefeller’s son, the anthropologist Michael C. Rockefeller, who had given his life in the pursuit of new avenues of inquiry into art of the Pacific. Among the wing’s signature works are the striking Asmat sculptures he researched and collected in Indonesia’s Papua Province. The launch of what was at the time indisputably the world’s most spectacular showcase for the arts of Africa, Oceania, and the Americas spurred a surge of art historical studies that have subsequently contributed to a major paradigm shift in the field. Since The Met’s landmark 1984 exhibition Te Maori: Art from New Zealand Collections, curators in the Department of the Arts of Africa, Oceania, and the Americas have mounted influential innovative and scholarly presentations both in the wing’s focus gallery and in the Museum’s special exhibition spaces. Topics addressed have included: authorship, in Master Hand: Individuality and Creativity in Yoruba Sculpture; how sacred matter has been the catalyst for creativity, in Eternal Ancestors: The Art of the Reliquary in Central Africa; the reception of African art in New York City, in African Art, New York, and the Avant-Garde; what constitutes a portrait, in Heroic Africans; how artists have visualized immaterial spiritual forces, in Kongo: Power and Majesty; and how societies measure value, in Golden Kingdoms: Luxury and Legacy in the Ancient Americas. Since the transformative gift of Nelson Rockefeller’s collection in 1969, The Met’s Africa, Oceania, and the Americas holdings have tripled in size through gifts of other major collections and strategic acquisitions. Given Rockefeller’s highly disciplined approach to assembling a survey of prime works, the subsequent contributions of individuals focused on targeted areas, such as Lester Wunderman and Dogon sculpture; Jan Mitchell and ancient American gold; Klaus Perls and the courtly arts of Benin; Andrall Pearson and West Mexican ceramics; and William Goldstein and African textiles. The holdings have also come to encompass areas previously unrepresented in the Museum, including 16th-century illuminated manuscripts from Christian Ethiopia and monumental silk woven textiles woven in Madagascar over the last decade. Today, works from sub-Saharan Africa relate to some 206 distinct cultural traditions identified with 39 nations. Oceania, a region that occupies almost one-third of the Earth’s surface, is represented by 223 cultures and 31 nations. And works of art created in the Americas up to the period of colonization relate to 234 distinct cultures and 21 nations. The Met presents over 5,000 years of art from around the world for everyone to experience and enjoy. The Museum lives in three iconic sites in New York City: The Met Fifth Avenue, The Met Breuer, and The Met Cloisters. Millions of people also take part in The Met experience online. All renderings of the renovated spaces courtesy of wHY.